Basically this post is a call for help, and once I have it solved it will become a reference for anybody else trying to do the same thing in the future. 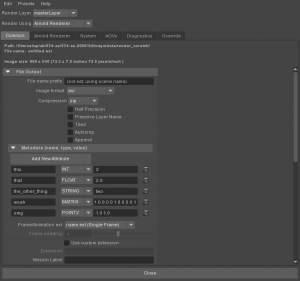 In the Maya Arnold Render Globals there are some fields to Add MetaData with a “Name”, “Type” and “Value” field available. 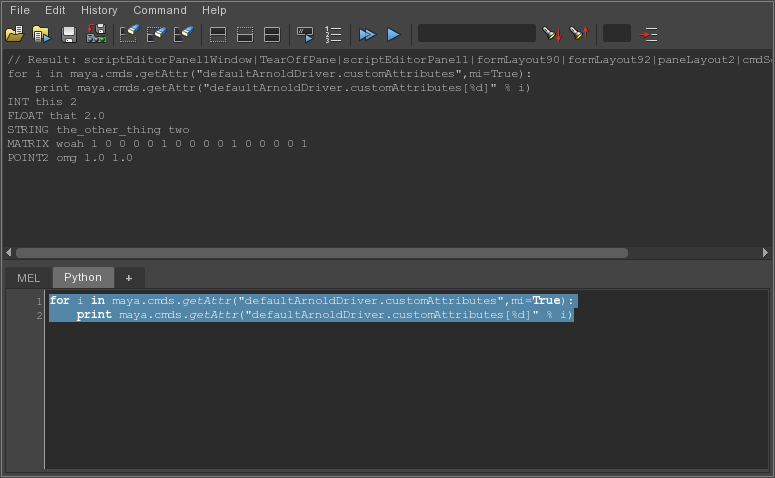 But that doesn’t update the GUI, but may make an EXR with meta data. So I think I need to do it with a little more care. But in reality it is there in the data structure, the gui will be updated if you just add and then delete an element, because it will call updatedMetadata method in the class above. So I guess I could just call that by myself. If I knew how to get to the method of a callback on an AE template installed by a Python Class. Basically that is the start of the reverse engineering. Will update once it is properly solved. 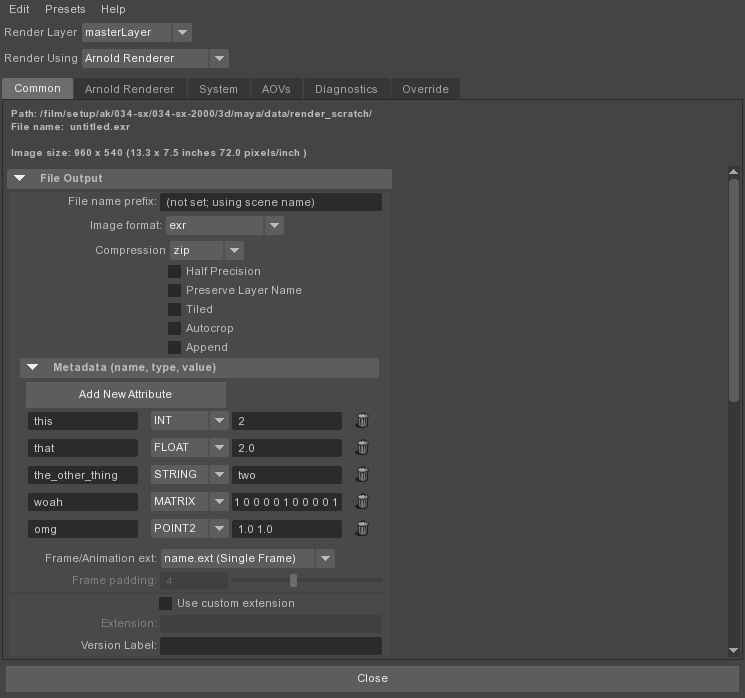 Also it doesn’t enable me to set these values with an expression per frame, but that shouldn’t be too tricky to do.